When Barbara Gardner Proctor launched Proctor and Gardner Advertising nearly 50 years ago, she became the first African-American woman to own and manage an ad agency. Proctor, a longtime Window to the World Communications, Inc., trustee, died Dec. 19, 2018, from complications following a hip injury. She was 86. After several years of working for advertising agencies, Proctor started her own business in 1970. Before long, Proctor and Gardner became the second-largest African-American advertising agency in the U.S., with clients that included Jewel Foods and Kraft. By 1983, the company had $12 million in billing. The next year, President Ronald Reagan mentioned Proctor in his State of the Union address as “the spirit of America (who) rose from a ghetto shack to build a multi-million-dollar advertising agency in Chicago,” according to Ad Age. Proctor was born in North Carolina to an unwed 16-year-old and raised by her grandparents in a dirt-floor shack without running water or electricity. She earned a scholarship to Talladega College in Alabama, where she earned a trio of bachelor degrees in English, psychology and social sciences. She graduated in 1954. After serving as a camp counselor in Kalamazoo, Michigan, Proctor stopped in Chicago to buy clothes for a teaching assignment. Watch a 1975 episode of “Running the Show,” featuring Barbara Gardner Proctor. In the early 1960s, Proctor worked as the international director of the black-owned Vee-Jay Records and traveled to Europe to swap records with recording companies. She returned from a 1962 visit with singles recorded by the Beatles, according to Ad Age. Proctor was briefly married in the ‘60s and had a son, Morgan, who later worked on her staff. 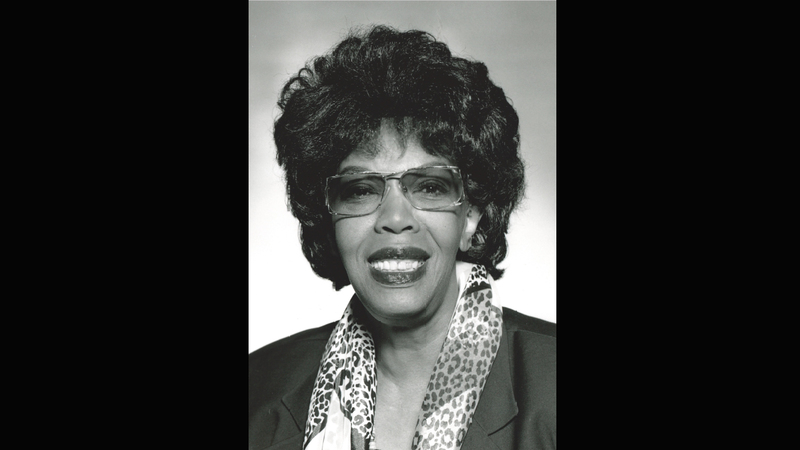 Proctor was involved in the advancement of women and African-Americans, working with groups such as the League of Black Women (served as president from 1978-1982), the National Association for the Advancement of Colored People (lifetime member) and Handicapped Organized Women (served on honorary board). Proctor served on a number of boards, including the Illinois Bell Telephone Company, the 1988 Illinois Olympic Committee, the Better Business Bureau, the Illinois State Bar Association Institute for Public Affairs and the White House Conference on Small Business. In 1991, Proctor was elected to the WWCI Board of Trustees and served until the time of her death. In addition to serving on various committees, she chaired the WTTW/Channel 11 Committee (1998-2002) and led the Community Engagement Committee as chair and later co-chair (2002-2016). For the past 15 years, she also served as a liaison to the WTTW Community Advisory Board. Proctor won a number of awards for her contributions to the fields of writing and advertising, including the Small Business of the Year Award (1978) and the Black Media Award for Outstanding Professional (1980). Editor's note: This story has been updated with Proctor's correct age.